Need assistance with building separate business credit that has no connection with your personal credit? We offer great solutions and tools to help you begin your business credit journey. Not only will you learn where you stand in the business credit world, we provide interactive tools and resources to help you get the loans, financing, lines of credit and merchandise you need to have a sustainable business. We offer both Free and Premium Tools to help you see where you are and create and track your business credit and financing goals. Free Credit Tools for both Business & Personal Credit Monitoring. Get a free business analysis of what you’ll qualify for. Must be registered with D&B to see your profile. We can help you with obtaining a free D&B number. Just give us a call or send a message today. We also offer a low cost credit builder software program that helps you build business credit step by step. No more guessing what you have to do. These tools will help you get it done and you will be on to accessing $50,000-$100,000 in business capital for your business at 0% interest in no time. 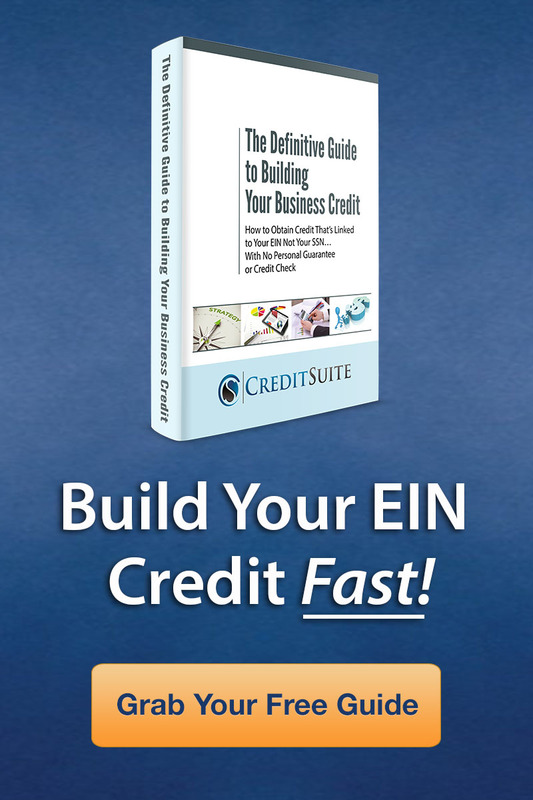 Click the link below to download your free guide to building business credit that is separate from your social. You can leverage this credit to grow your business, invest and build assets and more. If we can help you get to that 700+ Credit Score, you have to tell other people how we help you change your life. Having a 700+ credit score opens up the fountain of credit, loans, financing at low or no interest. Get started on your 700+ Credit journey today. The are Five 30 Day Net accounts for new businesses that will help you begin building your business credit. These accounts report to the D&B. Must make a minimum purchase of at least $60 for them to report your credit line. We can assist you with your business startup or we are happy to connect you with our partners at incorporate.com As an affiliate, we can help you get an additional 5-10% off on incorporating your business. Grow Your Business & Personal Credit & Get Financed Join us in the 700+ plus club. We can help you get there. Visit EmillionsPlus.com to get started to day or give us a call For a free 15 min consultation. You must mention She’s Got Goals in order to get discounts. We will help you create a unique and custom designed logo and brand for your Business. We’ll can also get you started with a low cost domain & websites so that you can begin growing your business on the World Wide Web. She’s Got Goals. We’ve Got Solutions.